The modern and stylish Riviera table extends from a large 190cm to a very large 280cm, using two butterfly extension leaves. The extensions are simply stored under the table top and the parasol hole remains fixed whether fully extended or compact. 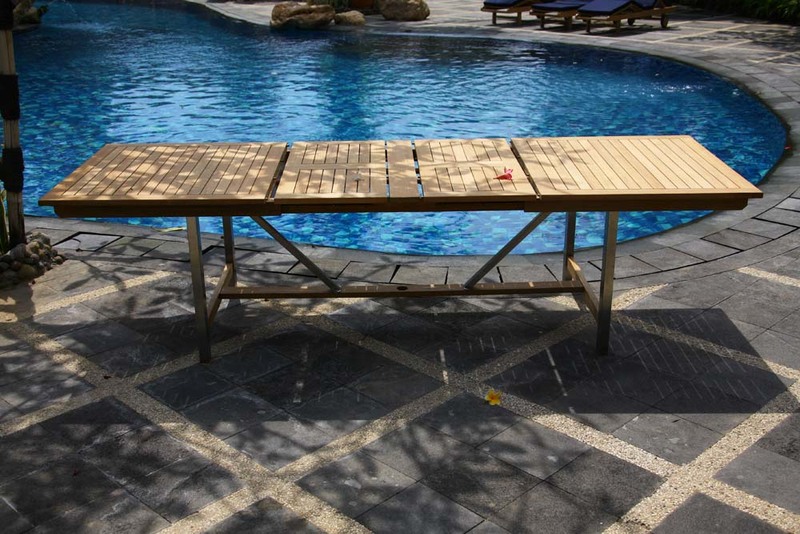 The Riviera table has a modern slatted teak top with beautiful V shaped stainless steel design. 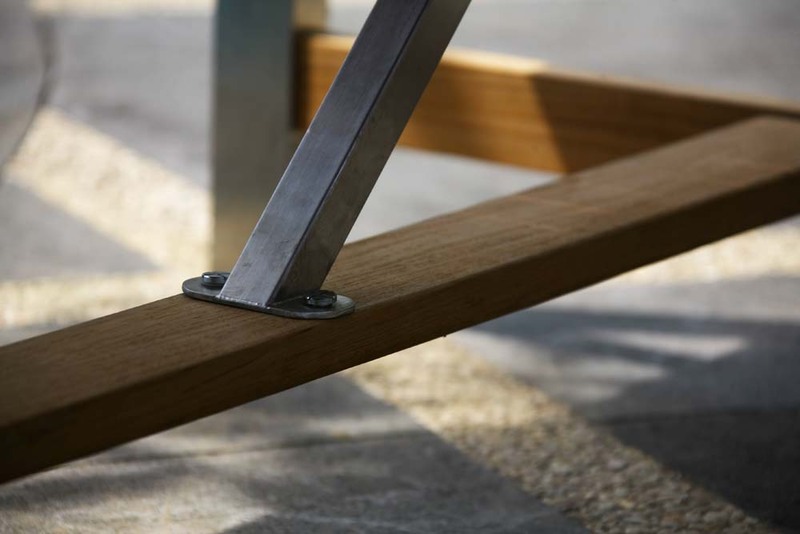 The table legs and frame are also made of premium stainless steel. 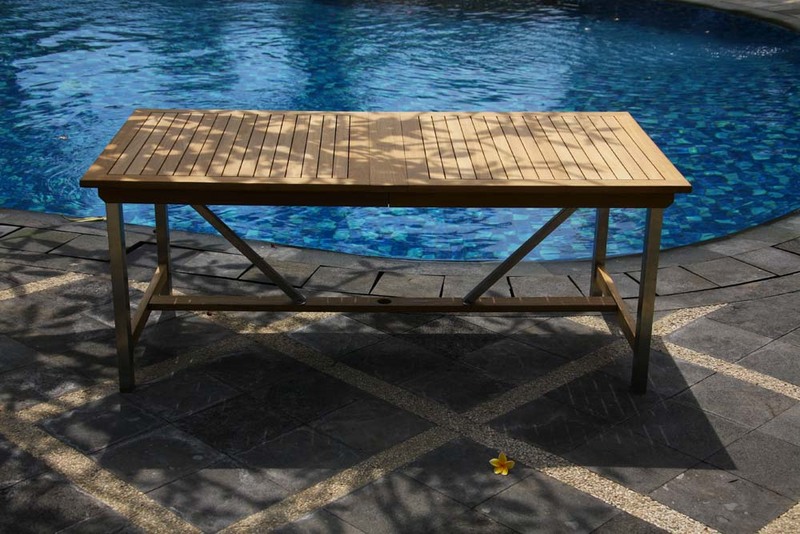 This table is crafted of solid premium teak which has been sustainably sourced from legal plantations and premium grade 304 stainless steel. The Riviera garden table is fully machine made to ensure a long life span and superb durability.